If you have a drug test coming up soon and you’ve been exposed to any level of harmful toxins, you absolutely must rid your body of any drugs or foreign elements that can lead to a failed test. Our range of drug detox kits are designed specifically to help you detox your system based on your level of toxin exposure. The one-day detox kit gently but quickly eliminates light toxins in the body, while the 10-day cleanse is designed to completely rid your system of toxins that may potentially trigger a failed test. Each detox kit is comprised of natural minerals, herbs, and vitamins that work together to cleanse your system, and no fillers, synthetics, or animal products are used in the Toxin Rid system. 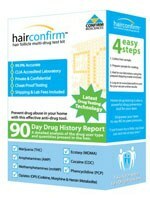 Best of all, these drug detox kits really work - and they’re backed by a 100% money back guarantee from the manufacturer. So go ahead - find the Toxin Rid system today that will help you to remove unwanted drug toxins from your blood, saliva, and urine in no time at all. Contact us today for more information, or place your detox kit order now to get started!